Samsung Electronics said today that it has begun mass producing the industry's first high-performance, three-bit-NAND-based SSD for servers and data centers. The new SSD will allow data centers to better manage workloads related to social networking, web browsing and email, and enhance operation efficiency. Installations of the 3-bit MLC (multi-level-cell) NAND SSDs, initially in large-scale data centers, are expected to begin later this quarter. 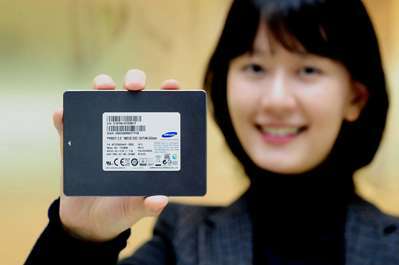 "Following the last year's introduction of 3-bit NAND-based SSDs for PC markets, our new 3-bit SSD for data centers will help considerably in expanding the market base for SSDs," said Young-Hyun Jun, executive vice president, memory sales and marketing, Samsung Electronics. "We expect SSD market growth will gain momentum as this new SSD delivers significant improvements in data center investment efficiency, leading to full-fledged commercialization of SSDs in IT systems later this year." The new PM853T SSD, available in densities of 240GB, 480GB and 960GB, offers high levels of random IOPS (inputs/output per second) performance and quality of service (QoS), both essential for data center and cloud server applications. In light of these benefits, Samsung expects the adoption of 3-bit SSDs in data centers to advance rapidly in replacing the 2-bit SSD market. In broadening the market base for SSDs, the new PM853T SSD will enable IT managers to optimize their SSD upgrades at investment levels similar to those of consumer SSDs. The PM853T delivers a 30 percent increase in manufacturing efficiency compared to SSDs that use 2-bit NAND flash components. Utilizing Samsung's 10 nanometer (nm)-class* 3-bit NAND flash components and advanced controller technology, the new drive features a sequential read speed of 530 megabytes per second (MB/s), while writing sequentially at 420MB/s. It also will read data randomly at 90,000 IOPS and handle sustained random writes at 14,000 IOPS. Since it first produced the 3-bit NAND-based 840 EVO SSD in 2012, Samsung has taken the lead in providing SSDs for ultra-slim notebooks and PCs. With the PM853T, it has now secured a strong foothold for high-efficiency SSDs in large data centers. 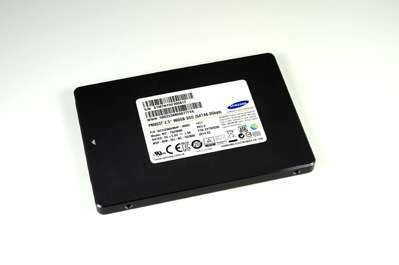 Through this introduction of a SATA 6Gb/s 3-bit SSD, Samsung is reinforcing its collaboration with global data center and server customers, while continuing to offer the broadest line up of competitive SSDs (spanning SATA, SAS, and PCIe/NVMe interfaces) to increase its leadership position in the premium SSD market. According to a market research report from IHS iSuppli, the global SSD market is expected to grow approximately 30 percent from U.S. $9.4 billion in 2013 to U.S. $12.4 billion in 2014. The report says it will also maintain a high growth rate over the next several years, reaching up to U.S. $20 billion in 2017.